Taking Back Sunday announce a headline Belfast show at The Limelight 1 on Saturday 15th June 2019. The band recently unveiled the track listing and format details, for their 20-year anniversary compilation, Twenty. 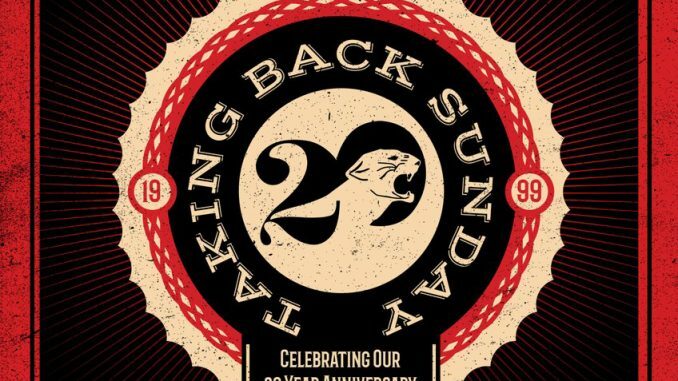 The 21-song collection will be released on January 11th and spans all seven of their full-length albums; 2002 ’s Tell All Your Friends, 2004 ’s Where You Want To Be, 2006 ’s Louder Now, 2009 ’s New Again, 2011 ’s Taking Back Sunday, 2014’s Happiness Is and 2016 ’s Tidal Wave. Tickets on sale Friday December 07th @ 10am from www.ticketmaster.ie, www.limelightbelfast.com, Katy’s Bar & Ticketmaster outlets nationwide. Northern Ireland customers 0844 277 44 55 & Republic of Ireland customers 0818 719 300.